Our range of products include chequered hr plate, hot rolled chequered plates, chequered plate, ms chequered plate and cold rolled coils. 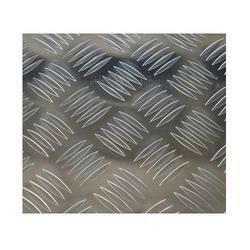 Chequered HR plate offered features quality construction finish and comes in different pattern options like diamond and others in industry standard options like BS, DIN, AISI, ASTM, JIS and others. Further, these can be made available in thickness up to 200mm as well as have width options of 1.0m to 2.5m as demanded by customers. Some of its features include length choices of up to 12m, suitable for preventing slipping, provides for improved performance, finding use in areas like construction, machinery and other fields. 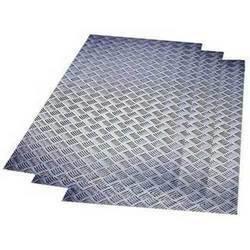 Hot Rolled Chequered Plates offered comes in thickness options of 2.0mm to 12mm, widths of 1500mm, 1800mm and others and in lengths as demanded by the customers. Here, we offer these plates in different pattern choices like tear drop, diamond, lentils form and others and offer it in bundle packed finish. Some of its features include application suitability in areas like construction, container manufacturing, bridge and other fields; available standard choices like BS, DIN, JIS, AISI, ASTM; provides for optimum performance support, allows creation of slip resistant surfaces, can be available in OEM specification choices. 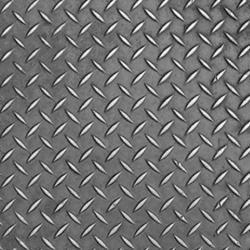 We are the leading trader and supplier of Chequered Plate. Moreover, we also customize our range as per the requirements of our clients. These plates are demanded by various automobile & machinery industries of the market. Also, our clients can avail our offered products in both standard and customized form as per their specifications. MS Chequered Plate offered comes in quality hot rolled finish and features thickness options of 2.0mm to 12mm as well as different width choices like 1250mm, 1500mm, 1800mm and others. We can offer thee coils in different lengths as demanded by the customers. Some of its features include choice of different patterns like tear drop, diamond and others; options of industry standards like AISI, ASTM, BS, DIN, JIS; application usage in areas like construction, building, shipping, bridge and other fields; prevents slippery conditions, can also be offered in OEM specifications as demanded by the customers. Cold Rolled Coils offered comes in different finish standards and is made available in grade 201 with thickness options of 0.2 to 1.5mm or as demanded by the customers. These coils also have width of 15 to 500mm as well as working tolerance of 0.01mm. Some of its features include application suitability in construction of pipe and tube, sinks, utensil; features uniform thickness, high quality and low price finish, zinc coating of 60g to 150g/m², also suitable for electrical appliances, agricultural equipment and in production of vehicle parts like back-seat plates of buses, oil tanks and others.